Ever wished if you could control everything in your home with a few taps on your phone? From TV to lights, from security to entertainment? Maybe you have heard about those big automation projects which costs hundreds of dollars and well, they don’t actually automate everything from a single hub. Now’ let’s take a look at the B.One and also we will see how it actually works. 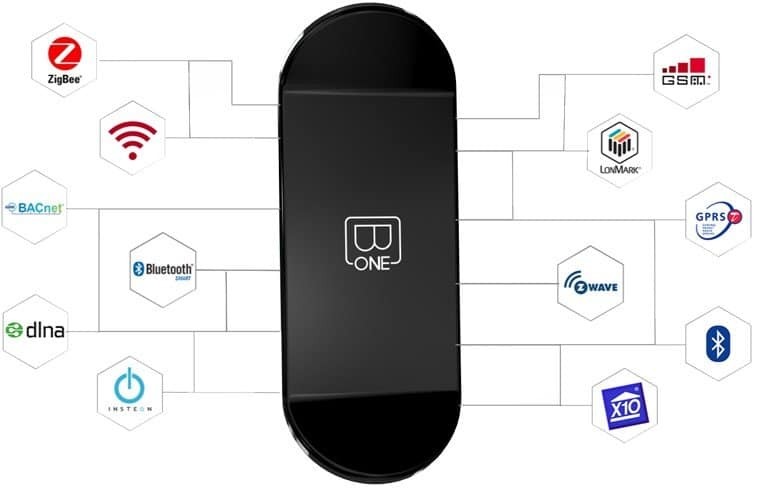 So, you can see that B.One works with security system, it also plays the role of universal remote control to control every single appliance in your home, also it works as a media manager and wireless charger. And that’s not all, it learns everything from your everyday behavior and adapt itself to work from time to time. 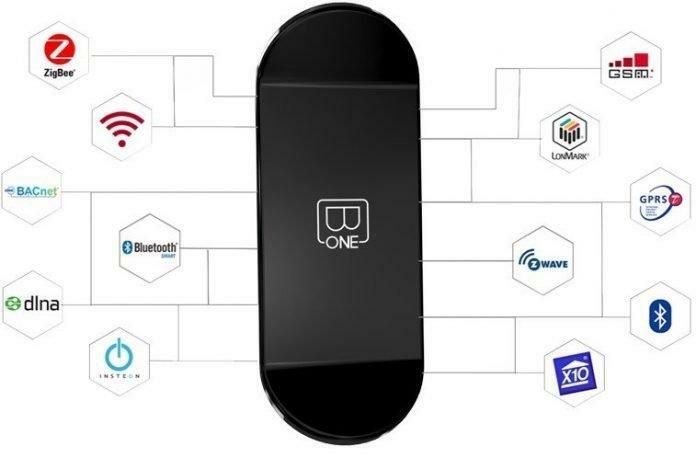 The B.One has got 10 parallel processing units so that it never misses any task or event, it makes sure that it keeps running well and do heavy multitasking under certain circumstances. using B.One with multiple devices is very easy, just with NFC tap to pair feature, you can add any device to B.One so that using B.One you can control that device along with a lot of other devices as well. 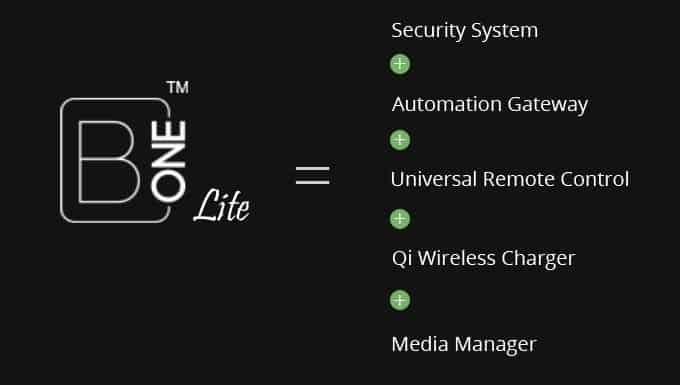 B.One supports a huge number of wireless tech and protocols to ensure that you get a fluid experience with B.One connected to any device, and you can see below how it supports so many techs and protocols. Pretty amazing, huh? I guess even your phone can’t be a complete hub for connecting and controlling everything. just tell me what you wanna connect and I guess it will be supported as well. 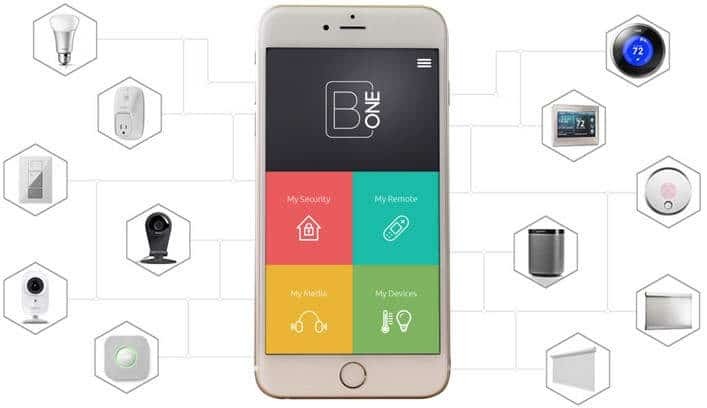 B.One support a huge number of appliances, from light bulb to washing machine, from webcam to microwave oven and I think with B.One you can connect and control everything in your home, right at your fingertips. Here’re some of them which you can connect to B.One. B.One gets set up in a few seconds, that’s even less than a minute. Using Proprietary Tap to Pair TM, Plug B.ONE & connect to your Wi-Fi & in less than a minute setup is complete. Here’s how the setup works. B.One has got Temperature and Light intensity sensors on board which lets it to sense the environment of your home and automate some of the processes. You can easily pair anything using tap to pair NFC and set up within 1 minute. 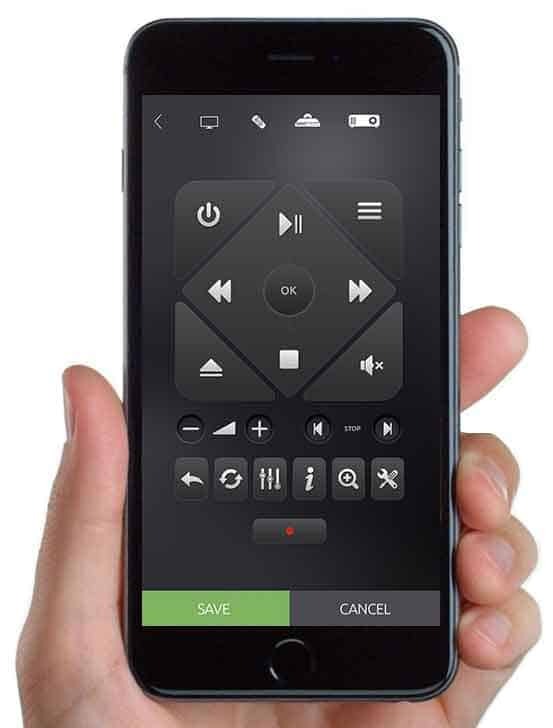 B.One app also works as a universal remote for controlling every appliance in your home. B.One has got not one, but eight IR blasters onboard to ensure 360 degrees coverage. Also, it has a wide range of built-in IR codes for different manufacturers or devices, also it works within the frequency range of 10 KHz – 500 KHz to provide coverage for millions of different devices. B.One has two variants, B.One and B.One Lite, you can see the specs comparison table below to find out the differences.